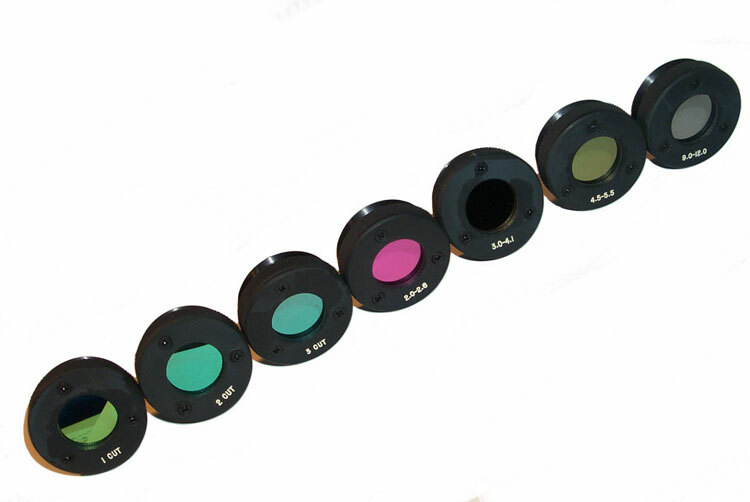 Page started after aquiring the seven IR filters for the AN/AAS-14 Infrared Detecting Set. If you know the wavelength range of the CUT 1, CUT 2 and/or CUT 3 please let me know. I'm hoping to put these in front of some IR sensors to make a crude optical spectrum analyzer. page created 12 Apr 2010.